STAINLESS STEEL MEASURING SPOONS WITH ENGRAVED MARKING – Accmor measuring spoons are made of highly satin brushed with best quality stainless steel with engraved marking written in both metric and US standard notation, standard and metric size markings on the handles ensure accurate measuring, they are durable and attractive looking, will never rub off, long lasting and durable and used by professionals. Perfect solution to cheap plastic spoons. 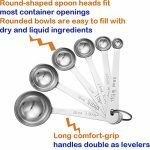 DEEP ELONGGATED SPOONS FOR EASY SCOOPING – The spoons are designed with innovative round-shaped spoon heads fit most container openings, rounded bowls are easy to fill with dry and liquid ingredients, long comfort-grip handles double as levelers. 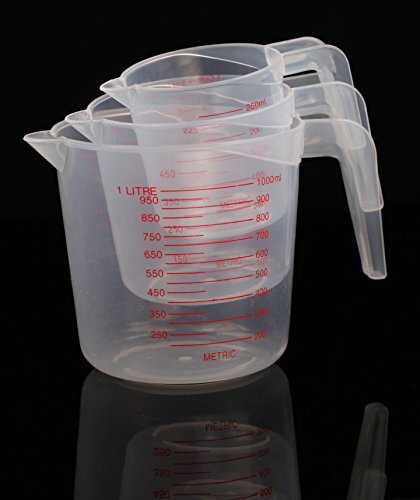 Are you frustrated with bland, run of the mill measuring cups that heap plastic sets that break easily and eventually, peel off into your food? 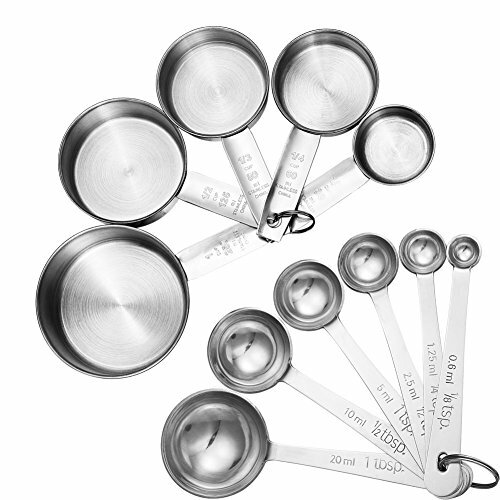 Are you tired of Inferior metal sets that are not durable and break easily, labels that rub off after some time which makes your measuring cups and spoons useless? 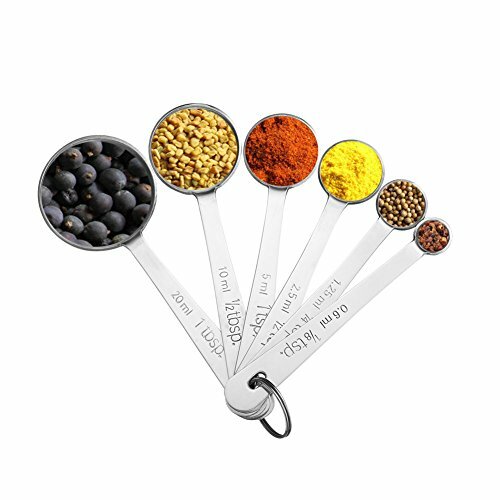 Now, there is a solution – Accmor stainless steel spoon set, the best measuring spoons for your needs. Why you need to choose Accmor? 1) 100% Stainless Steel so that your cups and spoons will last a lifetime – no flaking, rusting or BPA in your food. 2) No Welded Parts so that the handles won’t snap off. These handles are thick and sturdy. 3) Accurate & Precise Measurements in 11 variations- 6 Spoon Sizes – 1/8 tsp, 1/4 tsp, 1/2 tsp, 3/4 tsp, 1 tsp, 1-Tbsp, 1/8 cup, 1/4 cup, 1/3 cup, 1/2 cup, 1 cup, here are ml and cup sizes clearly etched in the handle. 4) Nest compactly, 6 in a package for easy storage, have flat, stable bottoms that do not tip over Include the “odd” sizes that are hard to find in other sets. 5) Dishwasher safe, easy to clean, spoons are small enough across the top to fit easily into containers. You and your friends need Accmor stainless steel spoon set of 11, it is the best Christmas, birthday, or weddings gift for baking or cooking lover. 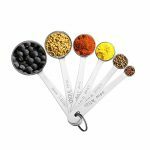 DURABLE AND EASY TO CLAEN AND STORAGE – Measuring spoons are made of stainless steel which means our spoons will never rust and can be placed in the dishwasher safely after using. The five spoons nest into each other beautifully making them very compact and easy to store away in the cutlery draw. 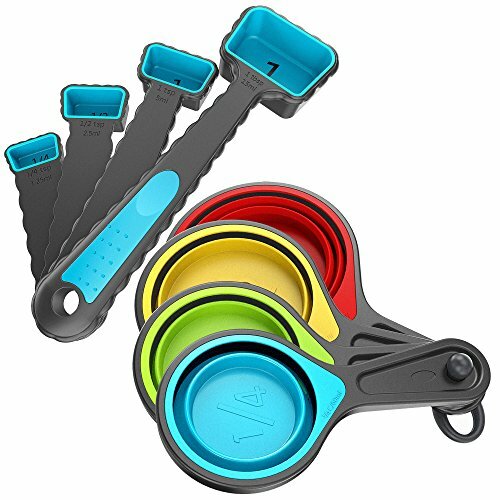 These spoons are conveniently connected by a small ring which helps to keep the spoons together as a set after a full day of baking or cooking. 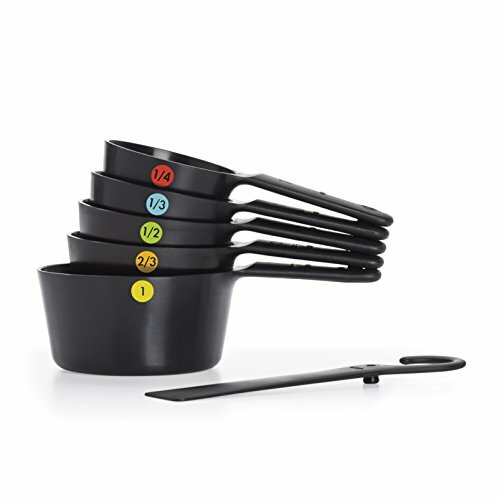 MUST-HAVE FOR KITCHEN, UTILITARIAN GIFTS – Perfect for house wife or cooking lover. It is a new, elegant, fun and more graceful way to accurately measure anything when you cook or bake. 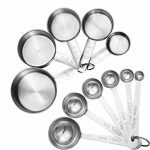 Measuring Cups and Spoons Set 10PCS in Stainless Steel with Silicone Handles for Easy Grip to Measure Dry Rations And Liquids.Measurements in Both US and Metric.Free Egg Separator.